Using the art and science of architectural design, Ian provides professional architectural services uniquely tailored to the needs and desires of each client. The final project is a result of creative design and skillful planning and is the homeowner's dream home come true, that is functional, sustainable and aesthetically pleasing. Ian J.N. 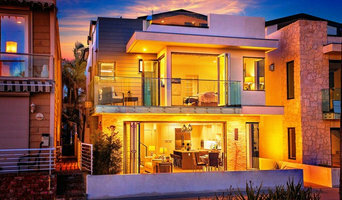 Harrison, Architect heads his award winning architectural firm in Newport Beach, California. Practicing for more than 30 years, Ian has received numerous architectural honors, including the coveted Gold Nugget award for the “Home of the Year” from the Pacific Coast Builder’s Conference (PCBC) and awards from the National Association of Home Builder (NAHB) for his many outstanding single-family and multi-family designs. As a graduate of the School of Architecture at California Polytechnic State University, San Luis Obispo, Ian received an award from the Graham Foundation for the Advancement of the Fine Arts. He enjoyed a fifth year of architectural study in Florence, Italy. With Ian’s multi-discipline background and keen sense of fine architectural design, he has consistently delivered winning design solutions. Ian’s portfolio includes a broad range of projects: custom homes, conventional single family communities, senior housing, high density town homes, institutional projects and mixed-use enterprises. Over the past decade, Ian has responded to niche markets in Orange County with an emphasis in Newport Beach, Balboa and Corona Del Mar designing luxury custom homes. Ian’s designs are known for creatively maximizing the use of interior space and the site’s potential, paramount with narrow coastal lots. Homeowners delight in their exceptional design and credit Ian with making their dream home a reflection of their individual desires. Every home is uniquely suited to the client, the neighborhood and the environment. Clients interested in ecological design can take advantage of sustainable architecture strategies for LEED certification. Ian’s clients benefit from his long established rapport with the city of Newport Beach and his knowledge of city, state and coastal regulations, as they navigate the permit approval process. Since 1979, Ward Jewell, Architect AIA has specialized in the design of fine luxury homes. Our primary focus is our precise attention to detail, combined with an artistic sense of proportion and balance. This defining strength has allowed us to design buildings that have an overall sense of beauty, harmony, and timelessness. 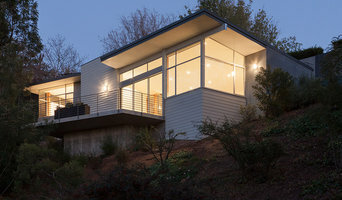 Diane Waingrow Architect AIA specializes in modern residential projects. Diane is passionate about architecture and design, and collaborates with the homeowner on a design solution that is uniquely personal and project specific. Her approach always considers sustainability and the impact on the environment. Our goal is clean functional design with an emphasis on space, proportion and natural light with a timelessness that transcends fashion through honesty and integrity. In addition to "flipping" my own investment properties, I work as an architectural and interior designer (please note: I am not a licensed architect) for other home builders and home owners in and around Los Angeles and the San Fernando Valley. I specialize in space management and all phases of finishing. Designing projects all over the globe, we strive to raise the international standards in custom residential architecture. Our award-winning design studio was founded in 1993 and has been continually featured throughout the world. Recognized for designs in a wide range of architectural styles, our teams of service-oriented experts collaborate to create residences spanning from classical estates to rural villas and cutting-edge contemporary structures. The common thread throughout these homes, whether small or large, is the level of quality and attention to detail. Our current works continues to be as diverse as our clients, many of whom have returned to collaborate on subsequent projects. Every new endeavor is embraced as an opportunity to challenge the imagination and explore innovation. Kurt Krueger Architects is a design centered architectural design-build practice based in Brentwood Los Angeles, California that specializes in design and construction. Our work responds to the specifics of its place while also satisfying our client's spatial and budgetary needs. We pride ourselves in the the craft of building and strive to create spaces that engage people while elevating a sense of interest to the individual qualities of each site and program. Every project contains a unique set of challenges, requiring a highly specific architecture that is at once functional and poetic. We value and aspire to create architecture that is graceful and timeless, concerned with space and light, context and place, texture and detail, and together enhances the overall experience. Interior Design studio specialized in residential renovations. The founder, Silvia Lombardo, holds a degree in Architecture from Italy and has over 20 years experience in high end interior design, remodels and new construction from concept to completion. Our designs are developed through close collaboration with our clients and we aim to achieve the highest standard of design, construction craftsmanship and execution. We have long standing working relationships with subcontractors and renowned consultants within fields such as engineering, surveying and landscaping. Vertebrae addresses each architectural inquiry with unique approach. We fuse aesthetic intention and program to create formally compelling yet relevant design. Individual context and socially responsible motive are design drivers, with client collaboration serving as an essential reference point. Within the vast set of parameters that define each design problem, budget and time are considered positive challenges. Our work is rooted in rigorous material experimentation and exploration of evolving fabrication technologies and means of construction. Pushing these techniques, complexity, texture, and restraint are intertwined. Vertebrae's recent projects include private residences, commercial interiors, and large scale artworks and have appeared in the LA Times, Interior Design, The California Design Biennial, and numerous museums and galleries. 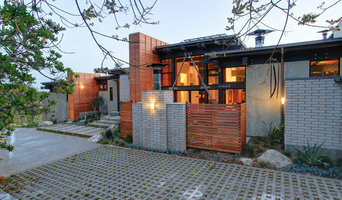 Southern California residential work includes projects in Venice, Manhattan Beach and Los Feliz. Vertebrae is a Los Angeles based architecture practice founded by Lisa Little.